Energy and gas prices fluctuate due to many of the same economic reasons other prices go up: supply and demand, cost of labor, and costs to manufacture electricity alone can all affect how much energy use costs you every month. While ever-changing energy prices can cause your bill to change by a few dollars every month, you shouldn’t experience a constant rise in your energy bill every month, especially if your energy use is reported to remain relatively the same from year to year. 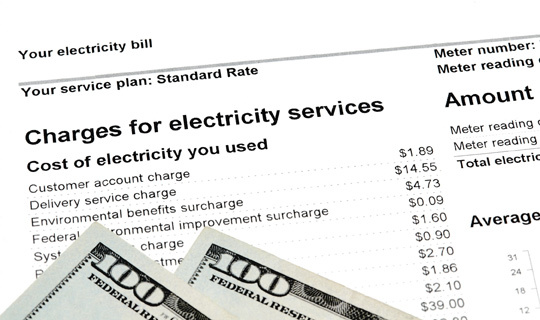 Your energy bill says a lot about your HVAC system and how your heating and cooling units are operating. Here are three reasons your energy bill may keep going up. If you’re not using your thermostat any more than you normal, but you have high-energy bills in the summer and a hot home, then have your HVAC specialist check your home’s heat strip. The heat strip, located inside your HVAC system’s air handler, is responsible for supplying ample heat in the winter months. When your thermostat isn’t working correctly, the unit can cause the heat strip to stay on. This means your home is both heating and cooling itself at once, which increases your energy bill. Your HVAC specialist will do a quick inspection to see if your heat strip is to blame. Your heat strip can cause issues in the winter as well, for example, if you keep your thermostat at an even temperature, yet the heat from your heat strip continues to emanate, causing you to open windows and let energy out. Don’t throw energy away due to a thermostat that is not working correctly. Call your HVAC specialist if you cannot keep your home heated or cooled properly. You should have your HVAC system inspected at least once a year, or as recommended by your HVAC specialist. When your system isn’t operating as well as it should, your energy bill can rise as your heating and cooling system struggles to operate properly. Your problem with your HVAC system can be as minor as needing the air ducts cleaned or be a more complex situation. Either way, having your heating and cooling system professionally inspected can help pinpoint problem areas that cause greater energy usage. Setting your thermostat too high in the winter and too low in the summer can cause your energy bill to increase by as much as 10 percent or more. Consider keeping your HVAC system’s thermostat at a constant temperature, recommended at 68 degrees in the winter and 78 degrees in the summer. While it’s alright to vary either of these temperatures by a few degrees to meet your comfort needs; it’s the constant changing of temperature in your home that causes energy bills to increase, not necessarily the temperature you choose. Your HVAC specialist will give you further advice for energy use and your heating and cooling system. If your HVAC system stops working for any reason or is emitting smoke, then turn the breaker off to your system and call your HVAC specialist right away. In operating your heating and cooling system more efficiently, you can help lower your energy bills every month. Trust our team of experts at Eubanks Air Conditioning & Appliance Service to keep your home comfortable and safe. Give us a call today to learn more.